Once again, it is that time of year. Time to round up the various Black Friday and Cyber Monday deals on knives and gear. I’m by my computer this year, so I figured I’d round up some links for 2018. Feel free to leave a comment or email me if I miss anything and I’ll add the deal. I’m starting this post a little early this year, but I’ll update the article as the deals roll in. As usual, Amazon has their deals going on for black Friday. You will likely find some decent deals on budget knives and flashlights. If you are looking to score big on a higher end knife this probably isn’t the place for that. They seem to do flash sales, and limited offerings. 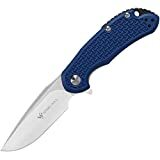 I am guessing there will be lots of time sensitive deals on more budget oriented knives, so here is a direct link to their outdoor gear deals. The deals will keep changing / updating. Check the deals out here. BladeHQ has all sorts of stuff on sale for their Black Friday deals. 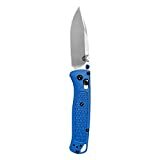 The usual suspects, including a deeply discounted Boker AK-74, are for sale, but they are also offering a free Blue Box Kit with each Benchmade knife (~$20.00 value), plenty of discounts on Protech Autos, Kershaw Autos, and Microtech autos. I also see sales for Kizer, Discontinued ZTs, Spydercos, and WE Knives. Something for everyone and an all-around compelling sale. Check out the deals here. GP Knives has a bunch of stuff on offer. I see everything from stuff by Buck, Lionsteel, CRKT, Kershaw, to ESEE knives, and leather goods. Once again, there is a little something for everyone. You can check out all their Black Friday deals here. All in all, not bad. Especially if you are in the market for a new Bravo 1. KnifeArt is running a Cyber Monday promotion. Frankly it’s hard for me to tell what exactly it is. I received an email from them this morning and it just links to their Home Page. So check it out and see if anything catches your eye. Southern Grind is offering a cool promotion where if you spend $200 they will give yo ua Jackal Pup (utility fixed blade knife) for free. Use code “GRINDBF” to get this. Offer is valid through 11/26/2018 so it doubles as their Cyber Monday deal too. DPx Gear is offering 15% off their entire store with the code Black Friday 2018 at checkout. This is good through 11/26/2018 so it covers Cyber Monday. SMKW has a Black Friday promotion on their home page, and they are also running some Flash Sales this year. Apparently these are daily deals, so keep checking back and see what they have. Brous Blades is having a strong Black Friday sale. Deep discounts on many knives (as much as 50%). Here is a link to their sale page. 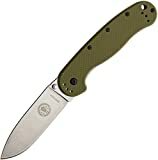 The CRKT Outlet has some deals for you on a handful of their close out knives. I’ll continue to monitor this to see if it changes. KnifeWorks has a sale going on. The deals include a $12.95 Kershaw Shuffle, a $135 Manix 2 in 52100 Carbon Steel, a $200 Paramilitary 2 in Carbon Fiber, some bundle deals, and 5% off select brands. Like last year their site is janky and the deals page is poorly done, but here’s a link to it. Also, here is a link to their “Closeouts” section that has some stuff on sale. This large retailer has some stuff on offer for Black Friday. Nothing crazy so far, but here is a link to their sales page for now. Here is a link to KnifeCenter’s Black Friday deal this year. They have a couple Zero Tolerance knives on deep discount this year. They have some Todd Begg Steelcraft stuff on a slight discount, some kitchen knives and razor blades. Looks like they will also have a Victorinox sale, along with Reate and WE Knives. Here is a link to their Holiday Sales Page where you can check out all the deals. RussianKnives.com is running a cool deal where you name your own price. You pick out the make and model you want, and fill out a form with your offer. They will accept it or counter it, and you could end up with a pretty sweet deal on a Russian blade. Very cool. DLT Trading appears to have some stuff on sale. Here is a link to their 2018 Black Friday Deal’s page. I see some Benchmade, Buck, Spyderco, Kershaw, Zero Tolerance and more. 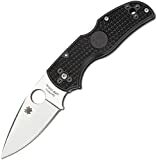 Notable deals to me include the Spyderco Mantra for $150, $100 for the Spyderco Lil Lum G10, and $140 for the Bark River Bravo 1 in Canvas Micarta. Chicago Knife Works has a black Friday sale going on. All sorts of deals, plus it looks like they are offering 10% off site wide. Cool! This section is for miscellaneous gear (packs, multi-tools, anything else). If you are into watches JomaShop has a Black Friday and Cyber Monday sale going on. All sorts of stuff, from $100 watches to $10,000 watches. They even have some Rolexes discounted by 3%. Check it out here. Botique online retailer Huckberry has some Black Friday offerings. I’ve never been able to get into into HuckBerry, but they have all sorts of gear on sale, everything including clothing, knives, camping gear, and watches. So check it out if you are in the market. I’ll keep trolling the internets to see if anything else noteworthy pops up on my radar. Again, feel free to reach out if I missed anything for Black Friday or Cyber Monday. Thanks and Happy Holidays.